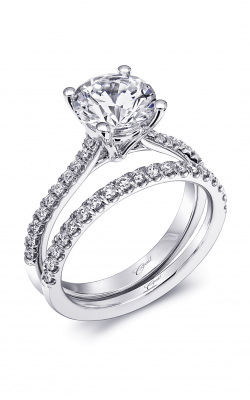 Committed to creating pieces that are "stylish, imaginative, and that instill lasting memories," the engagement rings, wedding bands, and diamond wedding sets of Coast Diamond are the epitome of bridal jewellery design and beauty. Found in an array of immaculate white gold, yellow gold, rose gold, and platinum styles, the jewellery of Coast Diamond consists of exceptional, diamond-covered pieces that any bride is sure to cherish for a lifetime. Additionally, as an authorized retailer, GMG Jewellers is thrilled to offer the latest and greatest designer-made bridal jewellery pieces from the skilled designers at Coast Diamond in their state-of-the-art Saskatoon showroom. 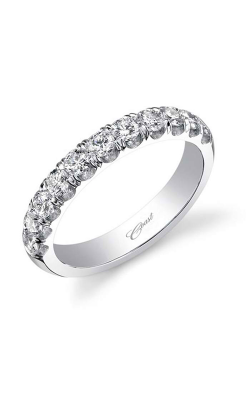 Renowned for their top quality customer service and fine jewellery selection, GMG Jewellers is the place to go for a truly spectacular assortment of engagement rings and wedding bands by Coast Diamond. 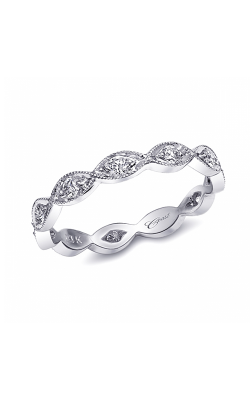 For individuals looking for a diamond engagement ring of sublime style and elegance, the pieces that comprise the Coast Diamond Charisma, Romance collections are one-of-a-kind beauties of supreme bridal beauty. Featuring brilliant princess, round, cushion, and emerald cut diamonds placed in perpetually-popular three stone, halo, and solitaire styles, the engagement rings of Coast Diamond are perfect for brides-to-be of refined taste and regal sophistication. 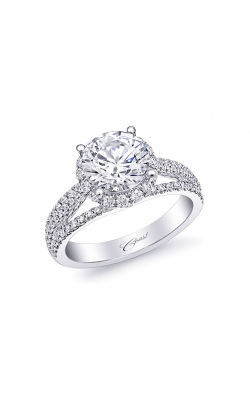 In addition to these wonderful diamond engagement ring lines, the knowledgeable and amiable staff of GMG Jewellers is honoured to offer a plethora of wedding bands and bridal ring sets from Coast Diamond. Made with the same attention-to-detail as all other Coast Diamond products, the women's wedding bands and wedding sets available today at GMG Jewellers feature exquisite vintage milgrain detailing, glamorous pave and channel set eternity-style diamonds, along with eye-catching finishes and polishes. For more than 30 years, the expert staff at GMG Jewellers has dedicated themselves to bringing nothing but the very best in contemporary bridal and fine jewellery to their beloved Saskatoon community. In addition to being an authorized Coast Diamond retailer, GMG Jewellers also proudly offers jewellery from some of the most prolific designers including Tacori, Noam Carver, CrownRing, Lashbrook, in addition to pieces from Hearts on Fire that feature "the world's most perfectly cut diamonds." To ensure the longtime appreciation of every item purchased, GMG Jewellers also extends a team of on-site goldsmiths who are happy to help with all jewelry repairs, cleanings, or customization.